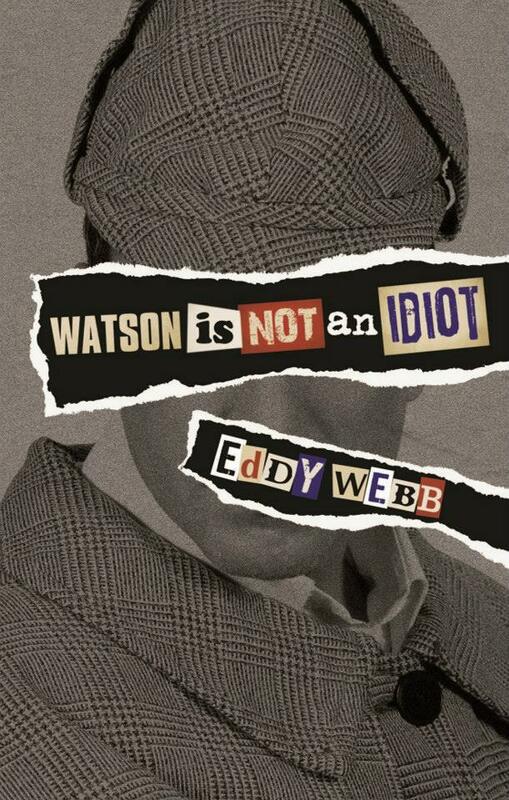 For this quiz, I called for help, since what’s most recently interesting about my fellow Alliterate Eddy Webb is his recent release, Watson Is Not an Idiot. While I love the Holmes & Watson stories, I’m not a proper Sherlockian. Fortunately, I had one close at hand. I first met John Archer through his wife, Barb Galler-Smith, whose novel Druids (co-written with Josh Langston) I had the honor of editing. Since we all live in Edmonton, we see each other often at readings, conventions, and my annual Hobbit party. And since I recently discovered that John describes himself not simply as a Sherlockian but specifically as a Watsonian, I knew there was no better person to interview Eddy about his latest work. 1. Your book is not solely about the mental competency of Dr. Watson, is it? What made you place another book on the sagging “Sherlockiana” shelf? No, it’s not just about dear Dr. Watson. It comes from one of the most common misperceptions I get from people who aren’t familiar with the canon —the bumbling Watson stereotype perpetrated by Nigel Bruce in the Basil Rathbone movies and (to a lesser degree) radio programs. When a friend of mine online grumbled about how Watson was “too smart” in the 2009 movie with Robert Downey Jr., I spent (perhaps too much) time citing the canon to prove that Watson wasn’t an idiot. From there, I ended up writing essays on every single original canon story, and I realized that while there are perhaps thousands of books about Holmes, there aren’t many that take a more casual, opinionated approach to discussing the canon. So I wrote one. 2. There are dangerous bits in the canon. For the safety of the reader, would you please at least “hint” at some of these dangerous bits. Of course, I do not want you to spoil anything for the reader. A lot of the dangerous parts are misconceptions of Victorian culture, or just an evolution of how we read fiction these days. A stark example is in “The Five Orange Pips” —yes, the KKK make an appearance in that story, but it’s not really the same KKK that we know in America today. Another one is the relationship that Victorians had with cocaine —Watson’s admonishment of Holmes’ habit was really somewhat radical at the time. But mostly, it was hyperbole. I do that a lot. 3. Sir Arthur Conan Doyle during a 1928 filmed interview with sound described Watson as “stupid.” Let us accept for the moment your argument that Watson was not an idiot. Do you agree with Sir Arthur that Watson was stupid? I admit I haven’t had the pleasure of seeing that interview (I’ll have to look it up! ), but I don’t agree with Sir Arthur. Mainly because, by 1928, he was vocal of his dislike of writing Holmes, and I fully expect his irritation bled over to Holmes’ stalwart friend. But also, I admit that Watson is written less intelligently by the late canon, so it’s possible that his perception was accurate for the Watson written at that time. But going by the canon as a whole, it’s very hard to have that opinion of Dr. Watson. 4. I see that in 2013 you were at the 221B Con in Atlanta, where you were a panelist for “Watsons Through Time” with Kristina Manente, Ashley Polasek, and Roane. Did anything come out of that panel that made its way into the book? Did anything come out of that panel that you would have liked to have had in the book? I didn’t have time to add too much to the book by that point, but I admit that Ashley has convinced me that my fairly rabid stance on Nigel Bruce may be a tad overstated. Her point is that Bruce moved the character from a pure narrator to a character in his own right, and that transition was vital to appreciate the character as it is today. And I fully admit that some of the wistfulness in his voice for the radio programs can be damn poignant at times. But the stereotype of Watson that he is known for has been hard to shake. 5. You point out that your book avoids any playing in the Great Game (that Holmes, Watson, and the story events were real). The Great Game can artifactually produce “inconsistencies,” but you criticize the fictional canon for incongruities and discontinuities as a logically connected series, while as a series of stories it was really designed to be connected only through the same characters. Are you being unfairly critical of the canon? of Sir Arthur as a storyteller? Oh, I’m absolutely being unfair. I also point out that Sir Arthur did amazing things to propel literature forward, inventing (among other things) the first espionage story and laying the groundwork for “playing fair” as a mystery. I would even say that the inconsistencies of the canon are a feature, a reason for us as fans to discuss and argue and reconcile for over a hundred years. However, modern readers are used to a much more polished and integrated mythology, and I try to point out that this can be a barrier to enjoying the canon. But I think it falls into the same category as people who argue that Luke’s parents were actually killed by Boba Fett based on small elements from the various Star Wars films —I may point out the insane snarl that is the case chronology and complain about it, but I’m doing it with a smile on my face. In the end, I love the canon because of its flaws, not in spite of them. For more on Eddy Webb check out his website. John Archer is a retired Airport IT technician who has lived in Edmonton for 36 years with his wife, Barbara Galler-Smith, a retired teacher and writer. 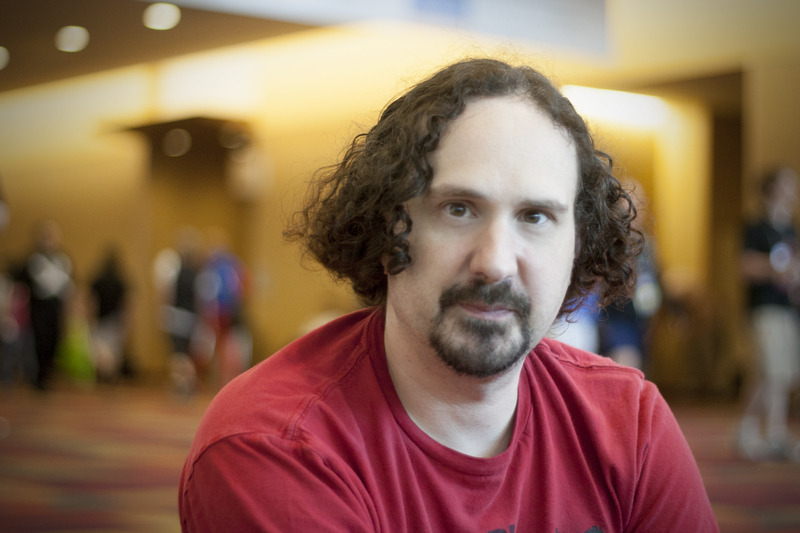 John ‘s interests include photography, archaeology, hard SF, and car touring. He is starting to dabble in landscape drawing (soft pastels). John has been a Sherlockian for over ten years and is presently a member of the Wisteria Lodgers, Sherlock Holmes Society of Edmonton. I am doubly fortunate. Firstly, I read Eddy Webb’s enjoyable and informative book. Secondly, from Eddy’s well thought out responses to the interview questions, I was now sure of certain traits of the author. He is knowledgable, direct, honest, opinionated – he sounds a lot like Sherlock Holmes. And, he has a sense of justice, practicality and appreciation of the reader – he sounds a lot like Dr Watson. He definitely is a passionate Sherlockian. I am glad he had the courage to write this book! Well done, Eddy Webb.